Poses & Pups - FREE Yoga and Pet Adoption! Poses & Pups – FREE Yoga and Pet Adoption! 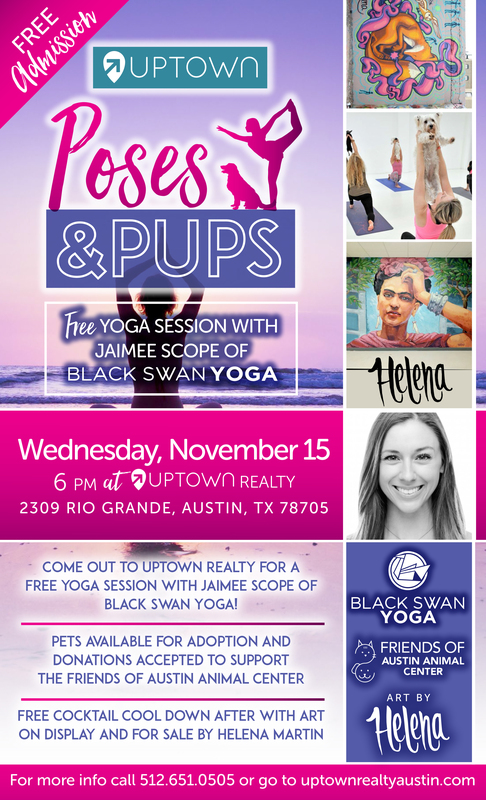 Come out to Uptown Realty for a FREE yoga session with Jaimee Hart Scope of Black Swan Yoga on November 15th at 6pm! Pets available for adoption and donations accepted to support Friends of Austin Animal Center. Free cocktail cool down after with art on display and for sale by Helena Martin.